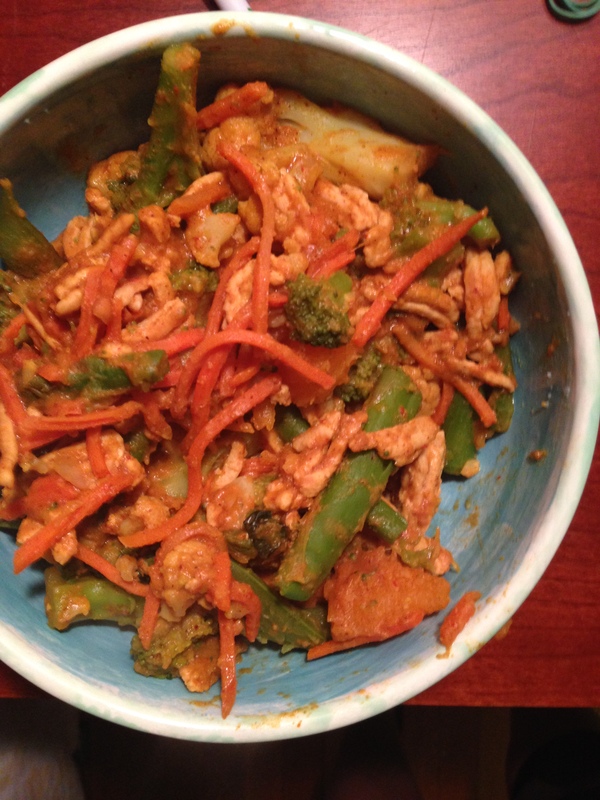 Welcome to another edition of What I Ate Wednesday, hosted by Jenn at Peas and Crayons. I slacked this week on photos of food. I’m usually that person that takes 15 pictures of my food while it’s steaming hot, at all different angles, then sits down to a cold plate. Foodie sacrifices I guess. I also tried something new this past week with a few days on intermittent fasting, just to kind of evaluate my hunger and try it out. I did it the easy way where I didn’t eat from 8 or 9PM to 12 or 1 in the afternoon. I surprisingly had a lot of energy and felt really good but I don’t think it’s something i’ll be doing often. I missed my breakfast oats too much and had to eat too much at all other times of the day to make up for breakfast. The week began with this ice cream cone. 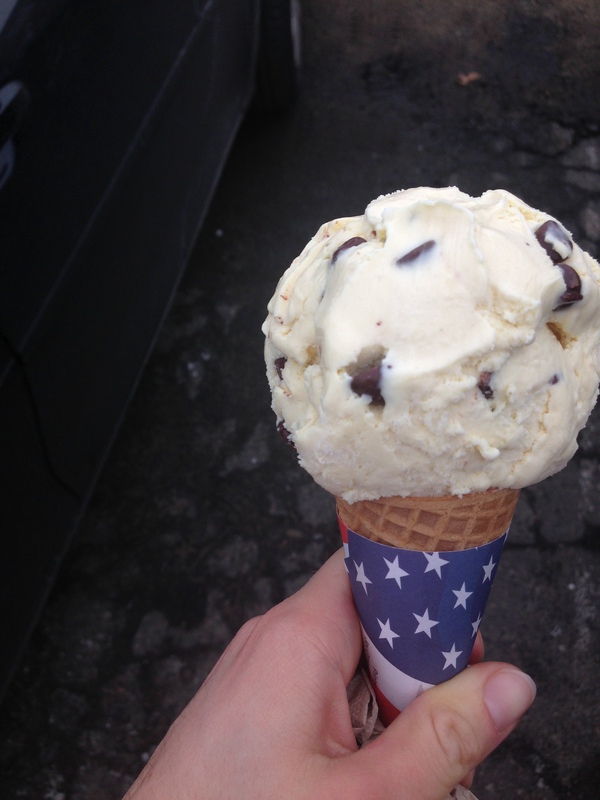 My sister and I stopped at the UConn Dairy Bar on Sunday where I got this Banana Chocolate Chip Cone. If you live in Connecticut or are ever in the UConn vicinity, stop at the Dairy Bar. This was only my second time there (my first was a few weeks before). All the ice cream is made on the premises from the milk of UConn’s cows. It just tastes..fresh. So creamy and delicious. 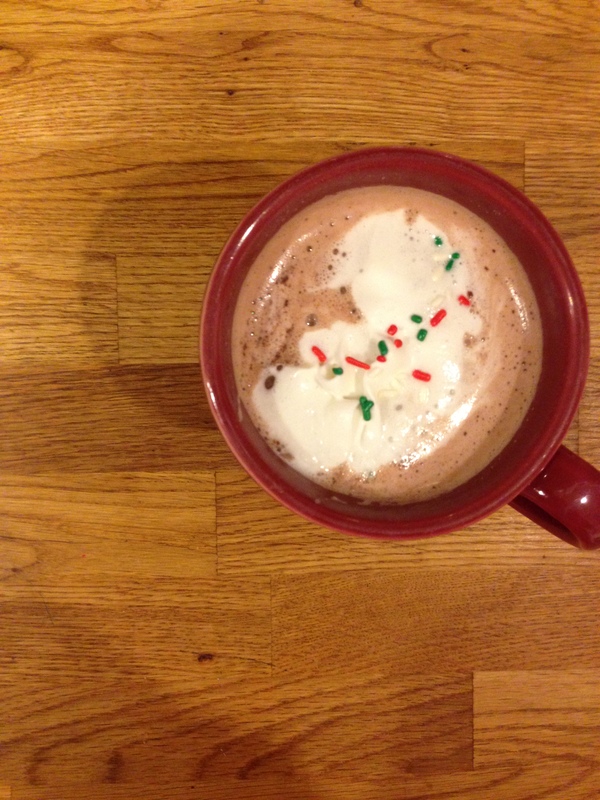 Also creamy and delicious, the hot chocolate I’ve been downing during the two snow storms we’ve had this week. Besides these treats, I’ve had a lot of repeat offenders. 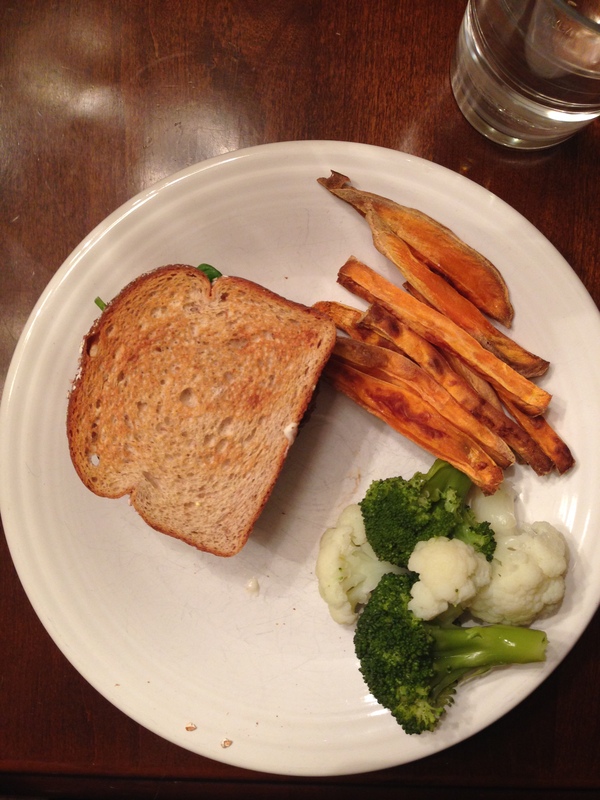 This is my own “stock” photo of a burger, sweet potato and veggies. Exchange the sweet potato for some squash and it’s the same meal! I also brought back the stir-fry this week after a brief hiatus. I’m never leaving it for so long again. Another highlight I forgot to document? My first taste of the new Cookies and Cream Quest Bar. I had to ask for them at my GNC store because they weren’t on the shelves and I am so glad I did! This is my new favorite flavor! If you like Quest Bars or need a new protein bar to try, get these! That’s what I ate. What did you have?